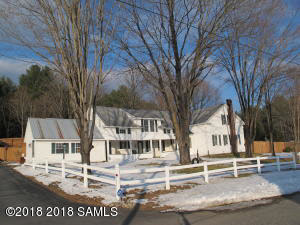 Updated circa 1887 farmhouse with country and mountain views. Large 2 car barn/garage with heated workshop, potting greenhouse, and full bonus loft space. Large bedrooms, lots of closet space and plenty of entertaining space in the kitchen, dining room, and living room. New 2018 appliances. Septic and well updated in 2015. New backyard cedar perimeter fence installed and ideal to keep family pets safe. Three fireplaces, hardwood floors under carpet.